A 15-page guide to immune boosting — key vitamins and minerals, herbs and how to use them, lifestyle tips, and healthy recipes. FREE. It’s (almost) cold and flu season…and everyone wants to stay healthy! 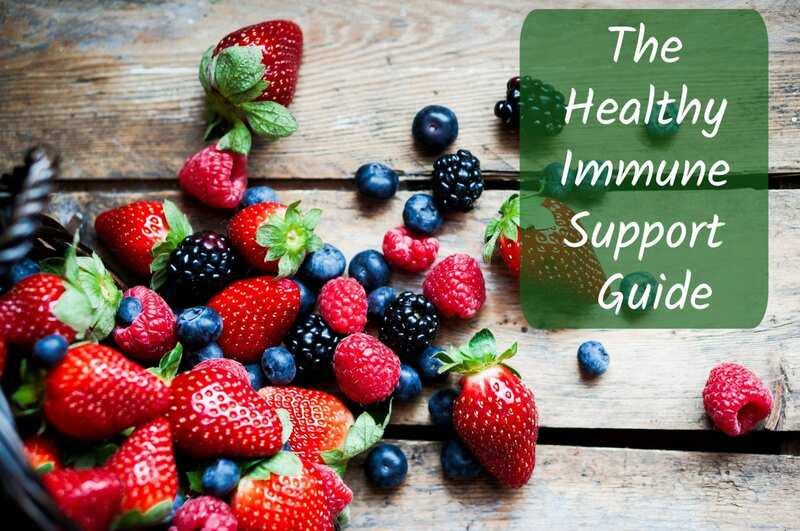 Do it naturally, with our NEW guide: The Healthy Immune Support Guide! It’s a 15-page guide worth $20, but yours for free. I am a holistic medical student. I was not only raised holistically but I went on to study natural medicine in college. I can vouch for all the information in this text. It is simple, accurate, resourceful, and affordable. If you are new to natural health, please don’t forget to take advantage of this amazing free resource. It is generously provided by Earthley, they have spent time breaking down the info to be very newb friendly, and honestly it’s even a great cheat sheet for those of us who’ve forgotten more than most may ever learn about natural remedies! I know I definitely have benefited from refresher courses like this more than once since becoming a mother!